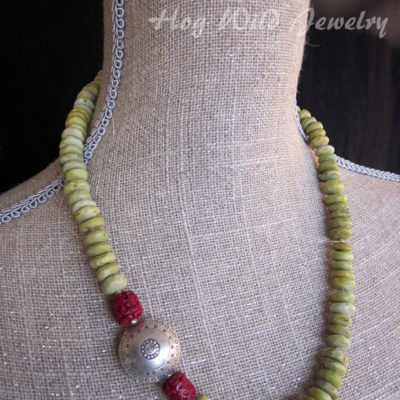 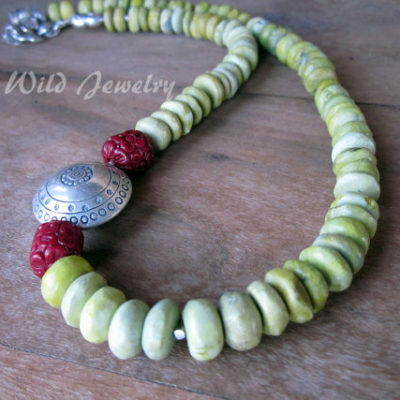 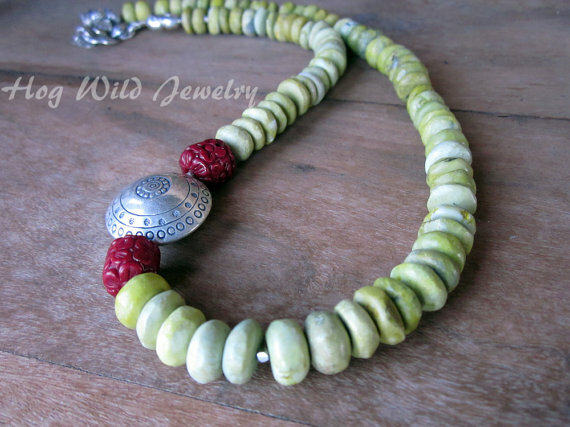 Asymmetrical Lime Green Howlite Nuggets with Red Bamboo Coral Beads with Bali Focal Bead. 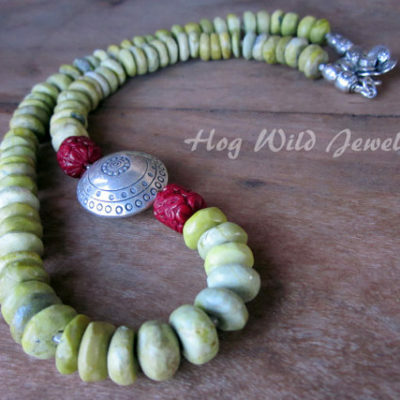 Simple and beautiful design by Tamara using organically faceted Howlite beads in a lime green yellow color. 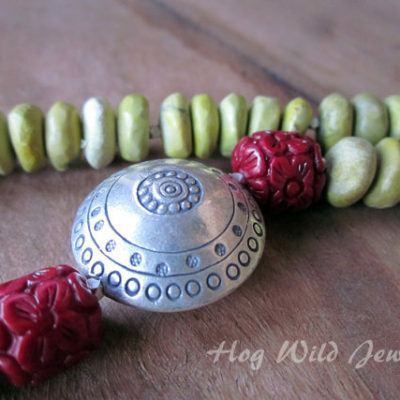 Two red bamboo coral beads carved in a floral design. 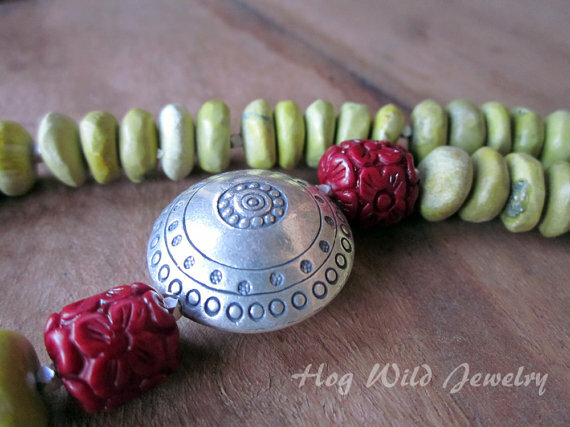 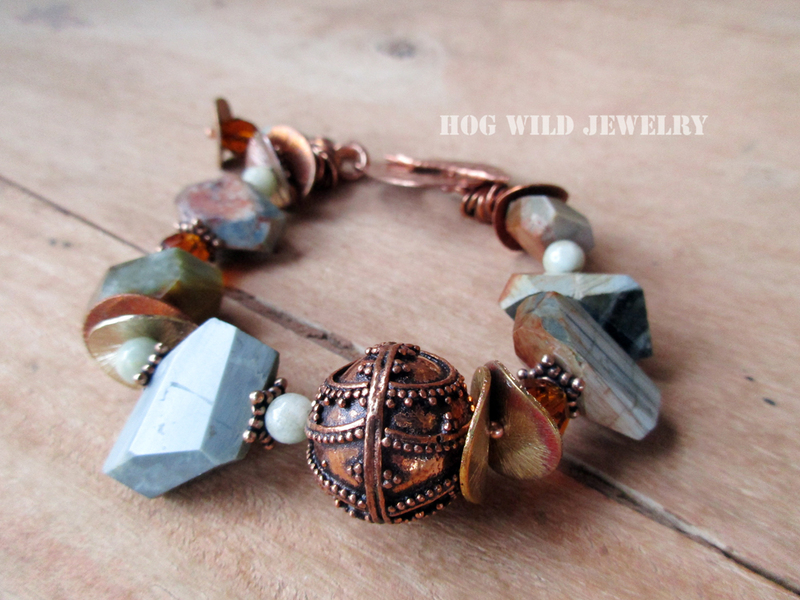 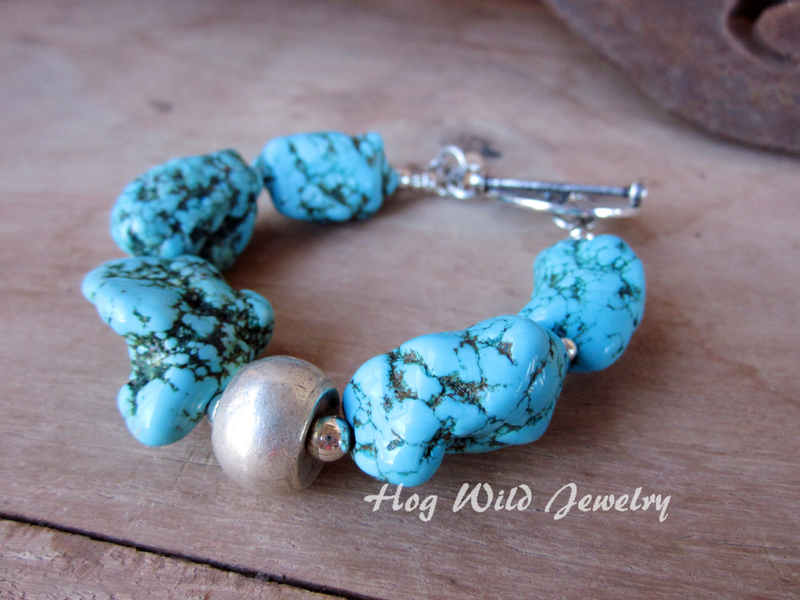 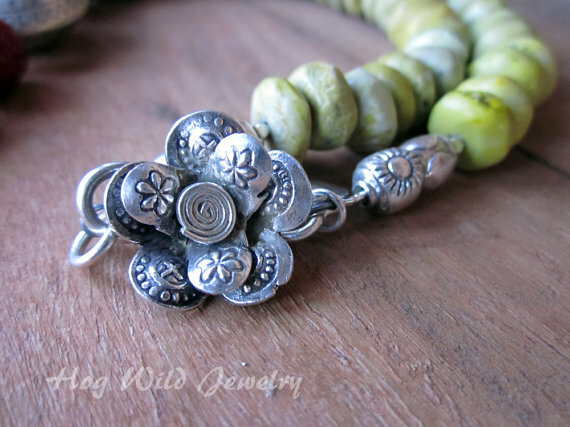 The focal bead is Hill Tribe Silver (99% silver) and measures approx. 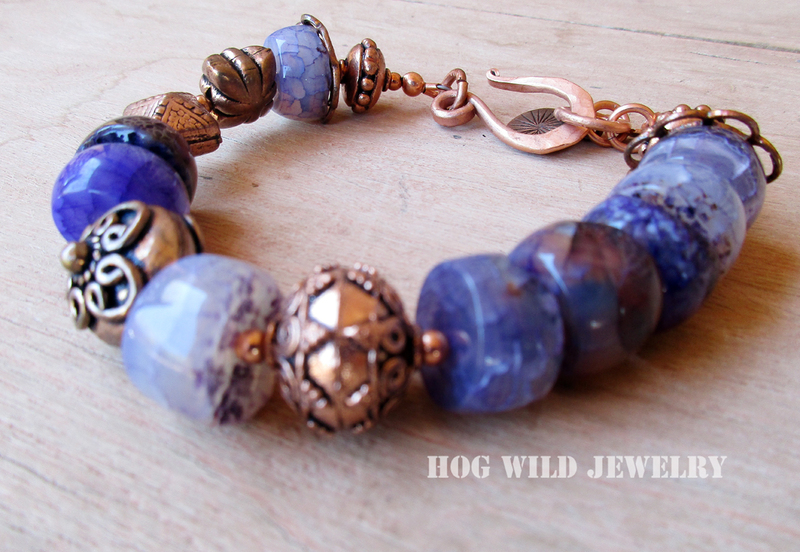 29mm. 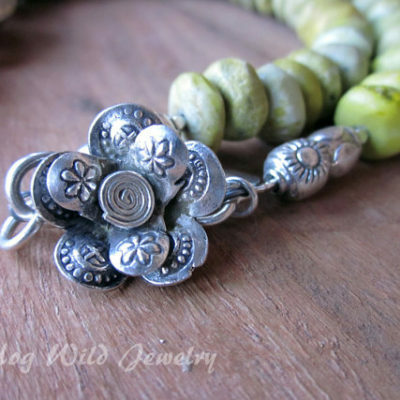 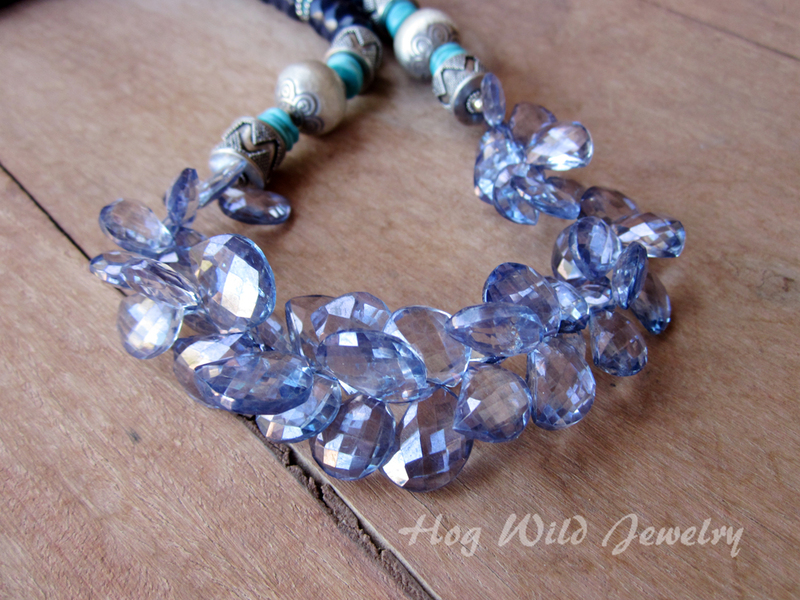 The toggle closure is also Hill Tribe Silver and is just so whimsical and a piece of art work all by itself. 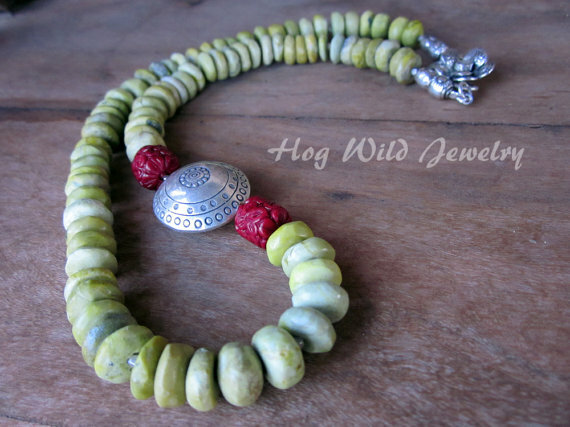 This is simple Southwest or even Tribal style and would look so good with a crisp button up white shirt and denim jeans.